We’d love your help. Let us know what’s wrong with this preview of The Death Catchers by Jennifer Anne Kogler. I guess you must've found my letter. Well, when you read it, keep in mind that passing Mrs. Tweedy's English class is hard enough. But when the fate of the world suddenly rests on your shoulders, it's difficult to focus on school. I wish I'd handled things better, but when I saw my first death-specter foretelling my best friend's death, I freaked out. Of course, I didn't exactly sign up to be a Hand of Fate or to protect King Arthur's Last Descendant. I know it isn't my fault Vivienne le Mort and Morgan le Faye decided to toy with fate all those centuries ago, but I do blame myself for what happened in Crabapple. Anyway, I hope you'll understand why writing my story was the only way I had even a small chance of saving the world and finishing my English assignment. Published August 16th 2011 by Walker Publishing Company, Inc.
To ask other readers questions about The Death Catchers, please sign up. does anyone know any questions about this book so I can ask my kids? Please please please let this not be the start of a series - it's so enjoyable just the way it is! Whoda thunk that using all those terms one learns in English class (trope, allegory, metaphor, aphorism, etc.) could be strung together to make for an interesting Arthurian story? Sometimes it's a slightly strained use of the term, and sometimes the chapter veers a little further from the description than it should, but more often the device succeeds than fails. In short, on her 14th Hallowe'en, Liz Please please please let this not be the start of a series - it's so enjoyable just the way it is! Whoda thunk that using all those terms one learns in English class (trope, allegory, metaphor, aphorism, etc.) could be strung together to make for an interesting Arthurian story? Sometimes it's a slightly strained use of the term, and sometimes the chapter veers a little further from the description than it should, but more often the device succeeds than fails. In short, on her 14th Hallowe'en, Lizzie discovers that she's a "Hand of Fate" with the ability to see - and possibly prevent - the deaths of those she cares about. Luckily for Lizzie, her grandmother is also a Hand and has much advice to pass along. Then there's also the question of Agatha, Morgan and Vivienne, three of the Seven Sisters of Avalon... and the Last Descendant of Arthur. Not to mention her BFF Jodi and her crush (ok, everyone's crush) Drake. The story unfolds as a letter written to Mrs. Tweedy, Lizzie's English teacher, explaining why Lizzie should be allowed to pass English. The terms are all part of Lizzie's defense, illustrating her adventures as she starts her career as a Hand (redubbed Death Catcher) and tries to save Drake from his Fate. Confusing? It all makes sense by the end (and if the epilogue isn't intended to send up the ones at the end of Harry Potter and Mockingjay, I'll be surprised). Oh, and then there's Mom, a librarian after my own heart. I abandoned this book quite a while ago and the fact that I didn't bother to update it's status up till this point is a testament to how much I don't care about this book. And why don't I care? I find this book to be cheap and insultingly stupid. The main premise is that it's written by the main character of the story, a young girl, as a school essay that's meant to keep her from failing the class. She uses literally terms to introduce reach chapter but that's about the only thing that connects I abandoned this book quite a while ago and the fact that I didn't bother to update it's status up till this point is a testament to how much I don't care about this book. And why don't I care? I find this book to be cheap and insultingly stupid. The main premise is that it's written by the main character of the story, a young girl, as a school essay that's meant to keep her from failing the class. She uses literally terms to introduce reach chapter but that's about the only thing that connects to that base idea. It doesn't read like an essay and I largely blame the dialogue for it. No way she recalls conversation and minor details this clearly. No way she writes this long of a story and this story for an essay. I know that this seems like a nitpick and it probably is but I still don't feel bad about complaining about it because that premise want necessary to begin with and it was still introduced only to add a gimmick. The reason why that pissed me off was that there was nothing to distract me from it. The story sounded inventive, but it wasn't. It was the same old "teenage girl finds out about magic and about how special she is and she has to use it to save the love interest who just happens to be the most popular guy at school" story. Sure it brought in something new in the form of the Arthurian mythology but even with that it kept referring to other, probably more interesting books. A few things felt odd. The setting was one of them. The author put a lot of effort into describing the setting, but to me it just presented too many difficulties. Most of those would have gone away had the setting been New England instead of northern California. Example: there are very old tombstones in the local cemetery, ones which locals assume were from the 17th century, early in the town's existence. That's great, but there are NO towns in California which are that old. Really. The Spaniard A few things felt odd. The setting was one of them. The author put a lot of effort into describing the setting, but to me it just presented too many difficulties. Most of those would have gone away had the setting been New England instead of northern California. Example: there are very old tombstones in the local cemetery, ones which locals assume were from the 17th century, early in the town's existence. That's great, but there are NO towns in California which are that old. Really. The Spaniards with their missions didn't wander up this way until the 1760s. Since it's a plot point, it stood out rather sharply. There were other details which gave the same feeling of a misplacement of the story, including the very important Arthurian elements. I'm sorry, but sailing west from Britain just doesn't get you to California in a very natural fashion...there's this big blob of land in the way, often called North America. The editor should have pointed these things out, and nudged the author toward better geography, or toward a better explanation, which is lacking. I may have to read it again to see if it's as good as I thought it was. You know, when something surpasses your prejudiced expectations it can seem better than it actually is, but for now, this rating/review stands. Check out the full review o Oh my gosh, I don't know if I can say just how much I loved this book! The story was really good, but besides that, with it being my first year teaching 7th grade English, specifically about plots and narrative writing, I loved the titles of the chapters, and how the protagonist or main character explained what they meant and how she was doing that with that part of the story. I could totally see using this with my class some year when I'm teaching this in the future. As a teacher, I certainly wouldn’t mind receiving such voluminous excuse letters, especially if the letter is as interesting as Lizzy Mortimer’s! This unique narrative style, coupled with Kogler’s ability to take the overtold story of King Arthur and present it into something imaginatively different made it easy for me to dive into this story right from the start. Cleverly told, thoroughly entertaining. Will not reveal more for fear of spoilers. The story wraps up nicely but leaves it open for a As a teacher, I certainly wouldn’t mind receiving such voluminous excuse letters, especially if the letter is as interesting as Lizzy Mortimer’s! This unique narrative style, coupled with Kogler’s ability to take the overtold story of King Arthur and present it into something imaginatively different made it easy for me to dive into this story right from the start. This book turned out to be a lot more suspenseful and fun than I thought it was going to be! I was worried it was going to be a bit young for me, but I was hooked once I got into it a bit. I also liked how the book reads as a letter from the main character to her teacher. IT SMELLS LIKE THE TEARS OF YOU NOOOOOOOBS AFTER YOUR PARENTS DISOWNED YOU!!!!!!!!! This review has been hidden because it contains spoilers. To view it, click here. Good premise. Horrible execution. Elizabeth "Lizzy" Mortimer is an ordinary girl with an extraordinary talent; she sees "Death Specters," or visions, when her loved ones are about to die. Her first death specter comes to her on Halloween, as the newspaper she's reading goes blank and retypes itself as a future news article, an obituary of her best friend Jodi. With the help of her grandmother, Bizzy--from whom she inherited her powers--Lizzy is able to prevent her best friend's fate. But soon af Good premise. Horrible execution. Sounds like an interesting book, right? I thought so, at least, when I picked it off the library shelves. But the writing itself was lackluster at best and insulting at worst. The book tries to sell itself as a thriller and a mystery, but there is nothing thrilling or mysterious about it. For a good half of the book, it seems, nothing happens. The book's main premise, the Death Specters? There are a grand total of two of them. Two. And one, Jodi's, is over in a matter of pages. The second Death Specter belongs to a popular boy at school named Drake, and it absorbs most of the plot and Lizzy's thoughts. Thoughts that are mainly of the cliche "Why If I Fail" variety with a little "Why me?" thrown in for flavor. The Mystery would've been interesting if the story wasn't so miserably redundant. That's the book's main sin: it talks down to its readers. No book, even one aimed to elementary kids or to middlegrade, should spell every tiny bit out to the reader. It ~might've~ been interesting to discover that the whole book was based on Arthurian legend, or that Drake Westfall was Arthur's descendant, if the book had not all-but-told-us these facts in the very first part of the book. Lizzy also does not go about ~solving~ the mystery so much as she's just ~there~ when things happen around her. She rarely, if ever, takes initiative to do anything productive on her own or make her own discoveries - she is always following orders from either Bizzy, Jodi, or her visions. Other than noticing the Hot Wheels magazine, it seems like the information is almost always just straight up told to her. "Oh yeah, I have a lighter and carry it with me wherever I go," says Drake, who's destined to die in a fire. "Oh Drake punched someone at school?" asks Jodi, "Oh we better find out why before we--whoops, never mind, I asked around for you so you don't have to do any heavy lifting." "Man, we should hurry up and get to the Cannery and go over our plans to rob the convenience store that's connected to it," says Drake's brother, unprompted, within earshot of Lizzy who is trying to discover why the cannery is so important. "I know the robbery isn't for another three weeks but I feel confident in conveniently discussing all the plan's details Right Now." ...In short, the only thing Lizzy does is Show Up & Pay Attention and the mystery gets solved around her. Other things bother me about this book. The characters are so busy being So Unique that they don't actually feel like, well, people. The dialogue, by extension, felt quirky and stilted at times. The plot, especially at the end, made little sense - Vivvienne can't kill Drake directly, because affecting fate is Against the Rules, but she can threaten to push Bizzy off a cliff? Banshees show up any time a fated death is averted, so why didn't Lizzy or Bizzy bring a mirror to banish the banshee? Why did Vivvienne, immortal and wise woman of Fate, not know that the women she was trying to kill had a method to get rid of banshees? Why did she even ~need~ Drake dead before raising an army of undead legions? Like, wtf? "Then it got much worse." ...on its own line, like the author thought she was dropping a bomb on us or something, I fought the urge to roll my eyes. Because literally, it happens a lot, even when "much worse" means "...kind of exactly what I experienced before." There's also the fact that the text is written like a letter or a school assignment, detailing all the secrets of visions and fates to her teacher so she could pass a class. After the book's heavy emphasis of "no one must know this secret", writing the story in letter-format makes Lizzy seem either colossally stupid or woefully out of character. Using the format as a teaching skill to inject literary terms into the story did nothing for the plot, either. The terms were either misapplied ('Revision' had nothing to do with revising, 'Personification' is supposed to be giving an inanimate object human traits, not... whatever the author thinks that word means) irrelevant (Lizzy takes a moment in chapter Point of View to lament that the book is written in first person, and if only she'd been an omniscient narrator, "I could have saved her." and then... never brings point of view up again.) or obvious (there is a chapter called "the antagonist" and, quite frankly, if you have to spell out who your villain is you are not doing a good job as an author, sweetie.) Even the ones used correctly could've been used better--Suspension of Disbelief, in my humble opinion, should've been during the first third of the book, when Lizzy was whinging about death and fate and disbelief... and not at the near end, when Lizzy was 3 days before the fated death and had already taken multiple steps to accept the powers her ancestors had given her and had taken MULTIPLE STEPS to avert said doom. The introductions to each chapter feel like they're there to fill up space and nothing else. Other reviews I've read argue this is a good teaching device, but it's not - but what would've been a good teaching device: leaving the chapter names as themselves and then letting the readers see how they fit in the box. Without spelling it out for them. While the book does follow your standard protagonist-discovers-special-ability-must-use-to-save-village formula, it was delightfully fun. Clearly an English teacher (or english major) wrote it, for it follows the conceit of being an assignment of English in which the cornerstones of literacy are broken down and used to from each chapter (tension, alliteration etc etc). It was a bit of fun actually, and probably a great instruction manual for beginner writers and teens. My favourite part about th While the book does follow your standard protagonist-discovers-special-ability-must-use-to-save-village formula, it was delightfully fun. Clearly an English teacher (or english major) wrote it, for it follows the conceit of being an assignment of English in which the cornerstones of literacy are broken down and used to from each chapter (tension, alliteration etc etc). It was a bit of fun actually, and probably a great instruction manual for beginner writers and teens. My favourite part about the book was it's ability to modernise, and rewrite the assumptions we have about the King Arthur story in a really unique way. Plus, the grandmother is by far and away my favourite character I've found in a YA novel for a while, an absolute crack up. Despite that I am now an adult (I guess) I still really enjoy young adult novels. However this one didn't really stand out to me. The idea was original and fun but it was also predictable and anti-climatic. For example, on the back of the book we are told that Drake is the last descendant -- but this is supposed to be a big reveal about 3/4s through the book. I just always felt like I knew what was coming. I did like the characters. They were exciting and fun. Lizzy's mum was my favourite and de Despite that I am now an adult (I guess) I still really enjoy young adult novels. However this one didn't really stand out to me. The idea was original and fun but it was also predictable and anti-climatic. For example, on the back of the book we are told that Drake is the last descendant -- but this is supposed to be a big reveal about 3/4s through the book. I just always felt like I knew what was coming. First Look: Arthurian legend? I'm all in. Not many YA/MG books feature it, so I was curious to see how this turned out. Setting: There wasn't anything particularly memorable about it. I got a good sense of the small-town feeling the author was trying to convey. Other than that, the setting doesn't play a huge role in the story, and it's a bit generic. Characters: Lizzy was likable enough. Maybe a bit on the generic side, again, but I still cheered for her. She had the typical unnoticed-girl- First Look: Arthurian legend? I'm all in. Not many YA/MG books feature it, so I was curious to see how this turned out. Characters: Lizzy was likable enough. Maybe a bit on the generic side, again, but I still cheered for her. She had the typical unnoticed-girl-from-the-sidelines thing going on, but she was written in an honest and real way. Bizzy annoyed me more than anything else. I understand that she was supposed to be eccentric, but she came off as too eccentric to seem realistic. I couldn't take her seriously. I didn't really understand any of her motivations. Drake was an interesting love interest. Again, a little on the generic side, this time with the Troy Bolton-style popular-athletic-guy-with-secret-artsy-passion thing. Still, I liked him, and I could see why Lizzy was attracted to him. Plot: More of a 3.5 star plot. It was interesting, but it just didn't grab me like I wanted it to. Lizzy didn't actually do much in terms of being a Death Catcher--she only used the ability twice, as far as I can tell. Also, Arthurian legend didn't play into it as much as I had hoped. It was definitely there, but only one aspect of it. Then again, I was kind of hoping that Bradley James-style Arthur would come waltzing in, which he did not. I had no logical reason to expect that, but it might've been fun. Uniqueness: The part about the Death Catchers was unique, but the romance aspect was very generic and followed a much-overused storyline. Writing: This whole book was written as a letter from Lizzy to her teacher. This worked sometimes, but not others. Each chapter began with an explanation of a literary term, like metaphor, trope, etc. They were supposed to fit with the chapter, but many times the connection felt like a stretch. Also, most of the readers of this book have enough education to know what these words mean. It felt a bit condescending, actually. Here's a line that made no sense: "I pressed my elbows against my chest..." I tried that. It doesn't work. All I end up doing is slamming my upper arm into a place a girl would rather not be hit. Likes: The Arthurian aspect was interesting, but I just wish we could've seen more of it. Not-so-great: How are there 17th century gravestones in northern California? Also, how are there gravestones with Arthurian legend names on them, and nobody notices? How is Lizzy in high school and has never heard of any of these legends before? Overall: It had some decent points: likable characters (for the most part, and if not a bit generic), a dash of Arthurian legend, and a unique premise. The author felt the need to define literary terms that most readers would already know, though, and some parts were quite generic. The plot didn't compel me like I hoped it would. 3.5 stars, but I'll round it up to 4. Similar Books: It's a modern-world story with classic mythology like the Secrets of the Immortal Nicholas Flamel series, connects modern teens with old legends like Endymion Spring and Dreaming Anastasia, and is a bit reminiscent in tone and humor of the Children of the Red King series. It features a teenager with the ability to stop/prevent death like Thirteen Days to Midnight. I was hooked from the first page and I couldn't wait to see how Fate would play out. Lizzy and Bizzy are two perfect characters destined to help save mankind from Doomsday, as well as give us some pearls of wisdom along the way. I also loved the titles of each chapter and how they would foreshadow what was to come. This was a great read and I'd recommend it to anyone looking for a little escape from the troubles they think are around them. Took we a little while to get into the book but once it hooked me, I'd couldn't put it down. A modern novel about King Arthur's Legacy. Loved it. Now I seriously want a prequel with Buzzy stories. Very interesting and exciting book. Would recommend. Quick fantasy, underrated for sure, it was fantastic. Jennifer Anne Kogler is a really great author - her books have life! I've read a few books of hers, now, and I think I'm officially her fan now. This book is what convinced me, I think - more so than her Otherworldlies book. A quick summary of the book itself: Everything changes on Halloween for Lizzie, when she sees a message about her best friend’s death magically appear in the newspaper. Later, her grandmother explains to her to truth - she is descended from Morgan le Faye, one of the sisters Jennifer Anne Kogler is a really great author - her books have life! I've read a few books of hers, now, and I think I'm officially her fan now. This book is what convinced me, I think - more so than her Otherworldlies book. A quick summary of the book itself: Everything changes on Halloween for Lizzie, when she sees a message about her best friend’s death magically appear in the newspaper. Later, her grandmother explains to her to truth - she is descended from Morgan le Faye, one of the sisters of Avalon. As Lizzie learns about her powers of seeing death-specters, an even greater destiny awaits her. Vivienne le Mort, another sister, wants to mess with fate, and only Lizzie can stop her. But can Lizzie manage to perfect her powers and save the people she cares about, not to mention the whole world? I mentioned before that this book had life – it was as if Lizzie was next to me telling her story. I loved all of Lizzie’s side comments (they added spice to the story). I’ve read many books with a voice, like this one, and I always find that they are better that the ones without. (That could just be my preference, of course.) The book’s format caught me as well – it’s written as a letter to her English teacher. What’s more, each chapter was titled with a particular literary technique (“dialogue” or “personification”). Lizzie would then explain her thoughts about it, and the technique would somehow connect to the story at the time. It was so creative and different – I just loved it! The cast of characters was overall a good selection. The group was a jolly crew and all helped build the story. The important ones were well fleshed out – I know Lizzie, Bizzy and Drake so well now! I also enjoyed how the story wasn’t about the most important event. Drake is the Last Descendant of Arthur, and Lizzie is his Keeper. Normally, with the way the story worked, it would probably have more to do with Drake and his story. It didn’t, though – it was Lizzie’s story, which wasn’t as dramatic. I do expect another book on how all of that turns out, of course! And on the topic of Drake, I was a bit disappointed in his character. He was a great person, but so typical for the lead male – handsome, good at sports, kind, compassionate, secret soft side (painting), etc. He needed a more exciting side – dangerous or funny or something more than a regular good guy. Maybe, if Lizzie learns more about him (besides what she learned while spying) we’ll see that side of him! However, I did think that there were a few loose threads regarding the less important characters. Lizzie’s parents weren’t much elaborated on – I don’t know her father as much, and the only thing I really know about her mother is that she absolutely loves books (like me). They might not have been important to the story, but they were important to Lizzie, and I missed out on information on them. I also wanted to know more about Damon – he’s a character we need to know a lot about. He caused (not counting Vivienne) Drake to get in all the trouble he almost go in. What happened to him in the end? He can’t stay bad – a bit more on his character was needed for me. Also, after the climax, I was expecting Sheriff Schmidt to come and say something. He’d been nosing around the whole book, but he doesn’t after Bizzy and Lizzie get into the big mess at the cannery? I thought that it would really interest him, but that could just be my opinion. The only thing this spells out is this – I expect a sequel! Speaking of sequels, this book really has me waiting. It’s been set up – Lizzie’s destiny has been fulfilled (to an extent) and now it’s Drake’s turn. I must know how he will “set up the Round Table again.” (Another thing: the Athurian legend was quite intriguing as well – I’m going after them now on!) There are a few loose ends (as I mentioned before) with the characters, which I really need more on. I also want to see Jodi get a guy in the next one – her best friend got the best guy in school, and she deserves someone! The Death Catchers by Jennifer Anne Kogler was a surprise find that I stumbled across when I was forced to walk down a different isle because of a mother and her crying demon offspring at the library. Thanks demon offspring! Then I discovered it had Arthurian legend as its basis and counted it as a double win. It also has grim reapers, magical sisters, and one very confused teenager. You can’t lose with that team! I loved this book. I disliked this book. I am of two minds about this book. First o The Death Catchers by Jennifer Anne Kogler was a surprise find that I stumbled across when I was forced to walk down a different isle because of a mother and her crying demon offspring at the library. Thanks demon offspring! Then I discovered it had Arthurian legend as its basis and counted it as a double win. It also has grim reapers, magical sisters, and one very confused teenager. You can’t lose with that team! I loved this book. I disliked this book. I am of two minds about this book. First of all, it was a surprise Arthurian legend find, although it is only the female Avalon characters that show up. (I’m hoping for a sequel so we can see Merlin woken up. I would bet money that Jodi is really Merlin reborn. [or that’s what I am hoping anyway]) Still, it has Arthurian legend as its base and that makes me happy. I also have a soft spot for death characters; grim reapers, banshee, lords of the underworld, etc. I want to pet them. So that’s another positive for this book. But my biggest peeve about The Death Catchers is the style and form it is written in. The narrator and main character, Lizzy, writes the whole story as if she is summiting a report to her teacher, Mrs. Tweedy. Apparently the events of the book caused her to miss an important school assignment and Mrs. Tweedy is allowing Lizzy to do a make-up project. This would have been an inventive and amusing way to begin the story if Lizzy didn’t stop at the beginning of every chapter to talk to the fictional Mrs. Tweedy. We’re reading along in a chapter, happily engrossed with events, and then WHAM, Mrs. Tweedy and some stupid English fact derails us. It’s like having the floor suddenly disappear from under you and about as pleasant. Why Kogler insists on chopping up the story by doing this at the start of every new chapter, I have no idea. It ruined the whole flow of the book, in my opinion. I quickly found myself just skimming the first few paragraphs of each chapter so I could get back to the actual story. Formatting faux pas aside, I loved the plot. The rest of the book almost makes up for the annoying Mrs. Tweedy parts. Lizzy is flawed and uncertain and makes a great main character. The male lead has that annoying habit of being perfect in every way, so much so that I have to roll my eyes a little when I read about him. It sounds like our heroine is hooking up with a plastic Ken doll. Bizzy is awesome. She’s the type of grandmother everyone wishes for and is probably the most badass character in the book, despite being in her seventies. The surprise reveal is actually a surprise because you didn’t know there was another surprise to be revealed. We think we have everything about the Hands of Fate figured out but then a new fact appears and things get even more complicated. I’m rarely surprised in books now’a days but The Death Catchers managed to keep its secret until the very end. in a sentence or so: after Lizzie has an omen of her best friend's death, her grandma (better known as Bizzie) tells her she's part of the Hands of Fate. which means that for the rest of her life, Lizzie will have death-specters and her goal is to try and stop Vivienne le Mort from ending any lives before their time. Lizzie and her best friend Jodi know their little town of Crabapple isn't usual. they realize that the guardian of the cemetery is a little off her rocker. they're even well aware th in a sentence or so: after Lizzie has an omen of her best friend's death, her grandma (better known as Bizzie) tells her she's part of the Hands of Fate. which means that for the rest of her life, Lizzie will have death-specters and her goal is to try and stop Vivienne le Mort from ending any lives before their time. Lizzie and her best friend Jodi know their little town of Crabapple isn't usual. they realize that the guardian of the cemetery is a little off her rocker. they're even well aware that they shouldn't be snooping in her window in the middle of the afternoon...but that doesn't stop them from peeping in on the little old lady and finding a very tall, dark, and scary Vivienne le Mort inside of her cottage. you know, Vivienne from Arthurian legend fame? yeah, that crazy lady. Lizzie's hopes that seeing Vivienne was just a bizarre dream flies out the window when she has her first death-specter. her grandma Bizzie fills her in on the family trait and points her in the direction she must go to fulfill her duty. and that direction just might be towards the gorgeous, artsy, incredibly sensitive boy-next door Drake Westfall. i love Arthurian legend. a whole lot. while this book definitely loves up The Once and Future King Arthur Pendgragon as much as i do, i didn't mind reading the background of the legend, learning about the Hands of Fate or the feud between Vivienne and Morgan, or reading about a lesser known theory regarding the relationship between Guinevere and Arthur. BUT if i hadn't read a single word about Arthurian legend before, i wouldn't have been overwhelmed by the explanations or felt like it bogged down the plot. the author integrates the Arthurian goodness within a plot fueled by friendship, crushes, family discoveries and personal responsibilities with bursts of nail-biting action scenes. Lizzie is funny, sweet, courageous and silly. Bizzie, her grandma, is all of those things times fifty. i want to be besties with an old woman who is sassy from here to Sunday and rides a red scooter named Dixie. i did not know this about myself until i read this book, but the fact is totally undeniable. the romance is a slow, sweet crush that doesn't dominate the plot - but rather weaves it's way naturally into the story. i love how this book balanced the contemporary with the supernatural elements and kept the Real Issues of family, best friends, and boys as such crucial pieces of the teenage experience. plus, it's written in the form of a letter to her English teacher so it makes all sorts of literary references which i found nerdariffic and totally charming. for a funny, contemporary book with a genuine dose of Arthurian legend and undercurrents of mystery and suspense, check out The Death Catchers. you'll fall in love with Bizzie, cheer on Lizzie, and crush on Drake all while enjoying this solid read. Lizzy Mortimer's life is about to be turned upside down. She sees news about her best friends death...in the future. Before she has time to panic though, her grandmother sweeps in to impart some wisdom. She informs Lizzy that they are descendants of Morgan le Faye and see death specters that help them stop people they love from going with death too soon. Weirder thing keep happening though and the stress of all that is placed into Lizzy's lap may be too much. There's an evil sorceress trying to Lizzy Mortimer's life is about to be turned upside down. She sees news about her best friends death...in the future. Before she has time to panic though, her grandmother sweeps in to impart some wisdom. She informs Lizzy that they are descendants of Morgan le Faye and see death specters that help them stop people they love from going with death too soon. Weirder thing keep happening though and the stress of all that is placed into Lizzy's lap may be too much. There's an evil sorceress trying to kill the last descendant of Arthur Pendragon, and with his death she'll destroy the world. Lizzy has to do some speed courses in Death Catching, but hopefully she is enough for the task. Brush up on your King Arthur legends before you delve into this one. I'm just kidding, they tell you all you need to know about the legend as you read, and it's quite fascinating how they spin it. This book is told as a letter to Lizzy's english teacher Mrs. Tweedy. It's a letter/essay for Lizzy's final project. This story is her life as it unfolds extraordinarily while Lizzy is supposed to be working on her real final assignment. At time this read a little younger than the YA I am typically used to, so younger readers may want to check this out too. Each chapter was titled with a different literary device that Lizzy discusses and goes on to use. It's an interesting touch, and may help readers learn about these in a more relaxed and interesting way. The characters were all quirky and fun. I loved Lizzy's mom, the librarian. Always trying to find the perfect book for people, even strangers. She carries around a pile of them and hands them out like candy. This was a fun read with a great ending. It left a lingering sense of a sequel, but one is not entirely necessary. If you are a fan of legends with a sprinkle of paranormal and a dash of adventure, make sure you pluck this one up. I know that a letter may not be what you had in mind when you said I could save myself from flunking your class by writing a defensive paper on the topic Why I Should Still Pass English Even Though I Did Not Turn in My Final Project." "'When we finally do make Drake fall madly in love with you, you have to swear you won't turn into a whiny, lovesick girl and completely ditch me. I don't want to have to got to the trouble of finding a new best friend.'" There are some authors where you really can’t mistake her or him for another because their writing style is so distinct. Jennifer Anne Kogler is a prime example of this. I recently read her other book, the Otherworldlies series, and her writing style and language is so similar that if it wasn’t for the fact that the plot is so different, I would have guessed that it was part of the same series. However, unlike her other book, I actually enjoyed this one probably because the plot was more entertaining and the characters more interactive. Lizzy was a likable character and I found her struggles as a student to be somewhat relatable. Granted, I was definitely a better student than her but I could understand her issues with schoolwork and juggling it with her friends and family. I also enjoyed the way how the author wrote this book which was written in a letter format. I thought that was pretty unique and made things a bit more intriguing for me. It also helped showcase Lizzy’s issue with writing as opposed to speaking which is something a letter can help portray. As for the plot, I liked the whole Arthur element as well as the seven immortal sisters of Avalon. I’m not sure where the sisters come from but I liked reading about their roles and their history. I’m also a fan of King Arthur so anything to do with him is of interest to me which is also probably another reason why I thoroughly enjoyed this book as it had much to do with the Arthurian legends. If there was one thing I didn’t particularly enjoy was actually Lizzy’s grandmother. For some reason, I just didn’t like her character. I understand that she’s supposed to be this super cool grandmother who is always there for Lizzy but for me, she seemed meddlesome and somewhat annoying. She always took it upon herself to interfere with Lizzy’s life. Obviously she had the best intentions at heart but at the same time, she needed to learn to let Lizzy live out her own life. It was also a bit strange for me to learn that she was pretty much Lizzy’s best friend (other than her other friend, of course) but she was so close to her that it struck me as odd. Lizzy Mortimer discovers on her fourteenth Halloween that she is descended from a long line of "hands of fate." It seems Morgan le Faye, of Arthurian legend, is her great great great (etc.) grandmother. All the women in the family line are receptors for the death-spectre, a chilling revelation that foretells the untimely death of someone they care about. In exchange, they can forestall the death by clever outwitting. Not only is Lizzy a hand of fate, but, as it turns out, the protector of King A Lizzy Mortimer discovers on her fourteenth Halloween that she is descended from a long line of "hands of fate." It seems Morgan le Faye, of Arthurian legend, is her great great great (etc.) grandmother. All the women in the family line are receptors for the death-spectre, a chilling revelation that foretells the untimely death of someone they care about. In exchange, they can forestall the death by clever outwitting. Not only is Lizzy a hand of fate, but, as it turns out, the protector of King Arthur's last descendant, a popular, nice, talented, gorgeous sophomore by the name of Drake Westfall. Her story is cleverly told through a persuasive letter she writes to her freshman English teacher, Mrs. Tweedy, in an effort to convince her that she should not flunk the class even though she did not complete her final project for the semester titled, "Why I Should Still Pass English Even Though I Did Not Turn in My Final Project." in the paper she must find a way to adequately demonstrate her mastery of the literary devices and techniques they learned about in class. What follows is a fun fantasy that incorporates the Arthurian legend with a twist. The first good thing I have to say about this book concerns the setting. Small towns are nearly a cliche in paranormal YA, but I think Crabapple stood out. Sitting on the edge of the gloomy Pacific, it was an eeire and quaint little town, almost a little European in some ways. Even though Lizzy, the protagonist, admits that she's "not reading's biggest fan", there's a literary building block discussed at the beginning of each chapter, since the book is a letter Lizzy wrote to her English teacher The first good thing I have to say about this book concerns the setting. Small towns are nearly a cliche in paranormal YA, but I think Crabapple stood out. Sitting on the edge of the gloomy Pacific, it was an eeire and quaint little town, almost a little European in some ways. Even though Lizzy, the protagonist, admits that she's "not reading's biggest fan", there's a literary building block discussed at the beginning of each chapter, since the book is a letter Lizzy wrote to her English teacher explaining why she didn't turn in her paper. As a writer myself, I enjoyed this aspect of the book. But, there were weaknesses too. The one that bothered me the most was in the mythology. It strayed so far from the Arthurian lore everyone knows. You could argue that there's no such thing as THE version of King Arthur's story because there has never been one accurate source, but I still felt like the author just used a few concepts to make up her own mythology that was only loosely based on Arthurian lore. Another weak point was the lack of physical description. When it came to describing the town and other characters, it was good for the most part. But not in Lizzy's case. What color was her hair? Her eyes? Was she tall or short? Did she wear glasses? We never find out what she even looked like. I also thought it was unusual how close Lizzy was to her seventy-something grandmother. Of course it's normal for someone to talk to and spend time with their grandmother, but being with her more often than you did with your best friend? I didn't buy it. I have another criticism, but it's spoilery so I'll leave it out. The romance was an upside—it was very realistic. Of course there was tension and kissing and things like that, but it was all more of a side element. Even after Lizzy starts "officially dating", she tells her best friend that "We're not in love." They were just two people trying to see if a romantic relationship would work for them. Jennifer Anne Kogler lives in California, where she was born and raised. She graduated with a degree in English literature from Princeton University in 2003. Her first novel, RUBY TUESDAY began as her senior thesis in college. Her most recent novel, THE OTHERWORLDLIES, is a 2011 Truman Award Nominee. Jennie has two books coming out in 2011: a sequel to The Otherworldlies, THE SIREN’S CRY (due in J Jennifer Anne Kogler lives in California, where she was born and raised. She graduated with a degree in English literature from Princeton University in 2003. Her first novel, RUBY TUESDAY began as her senior thesis in college. Her most recent novel, THE OTHERWORLDLIES, is a 2011 Truman Award Nominee. 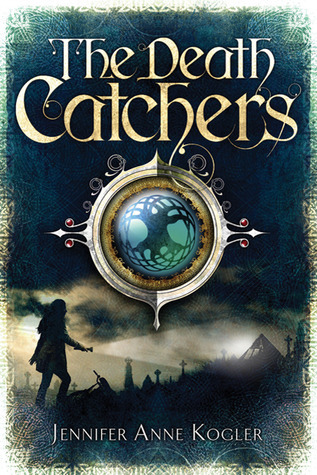 Jennie has two books coming out in 2011: a sequel to The Otherworldlies, THE SIREN’S CRY (due in June), and THE DEATCH CATCHERS (due in August). Jennie has appeared in front of a wide range of audiences. She delivered a graduation speech with her twin brother Jeremy (which she assumes provided a convenient bathroom break for the audience before Jerry Seinfeld took the podium), and has spoken at schools across the country, as well as at the Library of Congress. She currently attends Stanford Law School and has worked as a an intern for the Late Show with David Letterman, a clumsy waitress after graduating college, and a legal intern for the U.S. Department of Justice. Jennie is a longtime fan of the L.A. Dodgers, which as it turns out, was a great thing to be in the 1980s and not so much since then. She remains hopeful.